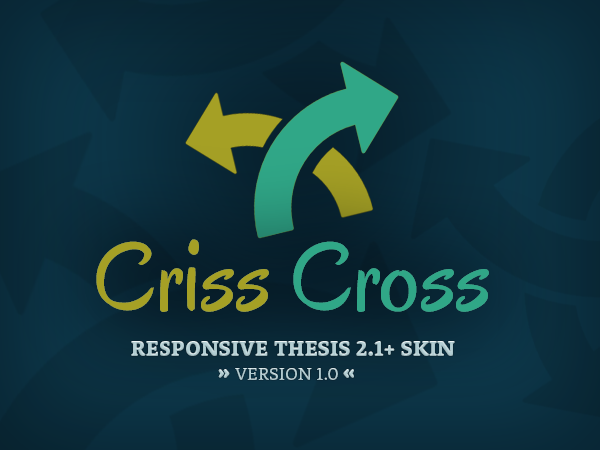 There is truly no end to the variety of designs you can construct using the Criss Cross skin for Thesis 2.1+. Whether you are trying to build an email list, write a blog, promote your business or market online, Criss Cross has an option for you! Using Criss Cross is Easy as 1-2-3! With the Thesis Framework doing all the heavy lifting, Criss Cross expands this foundation and allows for added functionality, design and complete control over the customization. This two-column box is just one of the many included features.